This article describes a 6-item scale, the Life Engagement Test, designed to measure purpose in life, defined in terms of the extent to which a person engages in activities that are personally valued. Psychometric data are presented including information about the scale's factor structure, internal consistency, test-retest reliability, convergent validity, discriminant predictive validity, and norms. The data suggest that the Life Engagement Test is psychometrically sound across different gender, age, and ethnic groups and is appropriate for wider use. 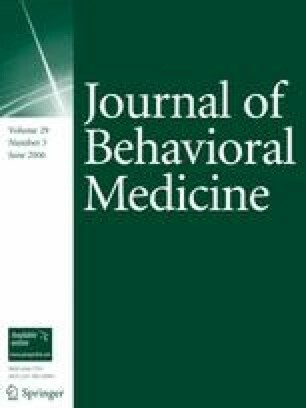 Discussion centers on the use of the Life Engagement Test in behavioral medicine and health psychology research and recent associations that have begun to emerge between the scale and health-relevant outcomes. Preparation of this article was supported by funds awarded to the Pittsburgh Mind-Body Center at the University of Pittsburgh and Carnegie Mellon University (NIH HL65111, HL65112, HL76858, and HL76852). Preparation of this article also benefited from the assistance offered by Suzanne Colvin and Ginger Placone, and the authors thank them for their help.